The period of Muslim occupation in Spain represents the only significant contact Islam and Europe was ever to have on European soil. 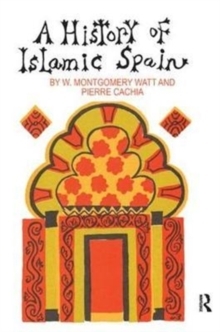 In this important as well as fascinating study, Watt traces Islam's influence upon Spain and European civilization - from the collapse of the Visigoths in the eighth century to the fall of Granada in the fifteenth, and considers Spain's importance as a part of the Islamic empire. Particular attention is given to the golden period of economic and political stability achieved under the Umayyads. Without losing themselves in detail and without sacrificing complexity, the authors discuss the political, social, and economic continuity in Islamic Spain, or al-Andalus, in light of its cultural and intellectual effects upon the rest of Europe. 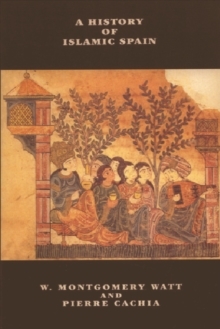 Medieval Christianity, Watt points out, found models of scholarship in the Islamic philosophers and adapted the idea of holy war to its own purposes while the final reunification of Spain under the aegis of the Reconquista played a significant role in bringing Europe out of the Middle Ages. 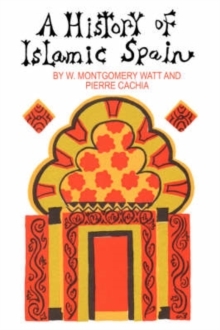 A survey essential to anyone seeking a more complete knowledge of European or Islamic history, the volume also includes sections on literature and philology by Pierre Cachia. This series of "Islamic surveys" is designed to give the educated reader something more than can be found in the usual popular books. Each work undertakes to survey a special part of the field, and to show the present stage of scholarship here. Where there is a clear picture this will be given; but where there are gaps, obscurities and differences of opinion, these will also be indicated. Full and annotated bibliographies will afford guidance to those who want to pursue their studies further. 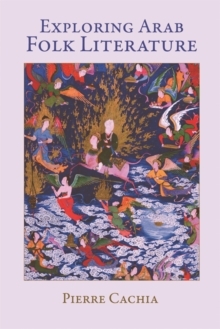 There will also be some account of the nature and extent of the source material. The series is addressed in the first place to the educated reader, with little or no previous knowledge of the subject; its character is such that it should be of value also to university students and others whose interest is of a more professional kind.